#1 on Amazon Hot New Releases! | Not One Dollar More! 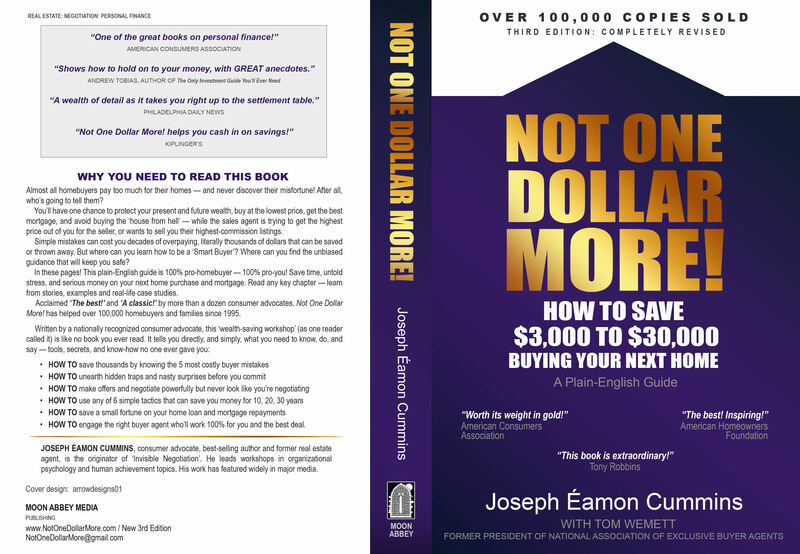 The Story – and Mission – of Not One Dollar More! Not One Dollar More! has frequently been called ‘a classic’ — by readers, media, critics and consumer advocates. It was born out of a desire to remove much of the needless fog and confusion surrounding home buying, which greatly disadvantages the homebuyer — typically without the buyer ever knowing. The main aim of the book has always been to empower readers preparing to make one of the biggest financial and emotional investments of their lives. It advocates strongly for exclusive representation for homebuyers, which is absent from the traditional buyer-agent relationship. Exclusive representation means that the homebuyer has a professional agent representing his or her best interests exclusively throughout the entire buying process — a service which home sellers have always enjoyed. The author’s research, which took three years, made clear that the majority of homebuyers did not know or were not sure if their best interests were being served, or were ‘sure’ their best interests were being served when in fact this was not true. A majority of buyers also believed mistakenly that the friendly traditional sales agent showing them homes was ‘their’ agent, working in ‘their’ best interest, again untrue. Misconceptions like these spell danger for homebuyers. Who (Truly) Represents the Homebuyer? In fact, traditional agents and salespeople – then and now – are doing the opposite. They represent only the seller’s best interest, and are legally bound to do so. This is rarely clear; the mistakes that result take money out of buyers’ pockets — unfairly. Usually that means thousands of dollars. But even on average-priced properties it can mean tens of thousands. How this happens, and how to prevent it, are covered in detail in the book. 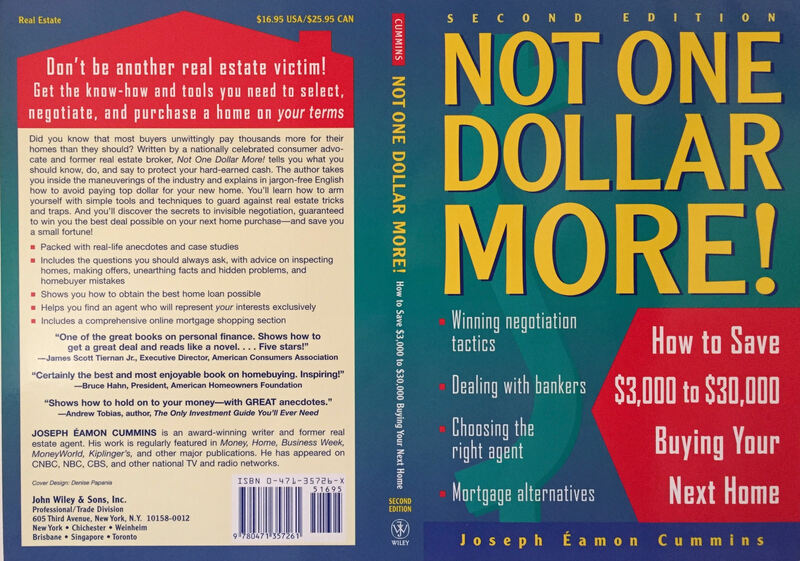 These are just some of the concerns that led the author to write the first edition of Not One Dollar More! in 1995. The rest, as they say, is history. One consumer advocate after another, including those in the highest offices in Washington DC, came out in support of the book. New Ideas or More Danger? In recent years ‘new’ forms of buyer representation have been introduced, due in part to the influence of Not One Dollar More!. But all is not what it seems. These new services can disadvantage homebuyers just as much — though, as always, the dangers are not obvious. As the book shows, the ordinary homebuyer is still vulnerable — which means, in effect, little has changed since this book first appeared. 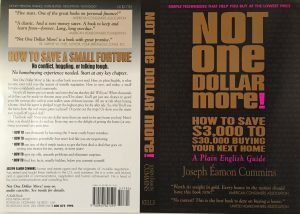 This new third edition has been completely re-written and includes new chapters. It covers most of the thorny issues and tough questions that present risk in every home purchase, whether recognized or missed entirely by the buyer. And it’s written in the same easy-to-read, easy-to-learn style of previous editions. 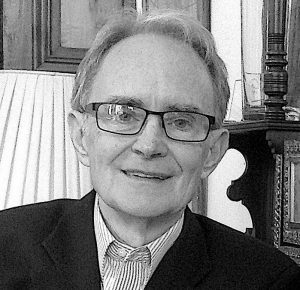 Joseph Éamon Cummins is an organizational psychologist and an independent consumer advocate. Not One Dollar More! has been endorsed by readers, media and consumer protection agencies since it was first published in 1995. The author, a former real estate agent, is also a best-selling author.